Every one has heard the crabs in the bucket story. Most Indigenous people have heard it applied to themselves and their communities. A big ol’ bucket of Indian crabs pulling at each other so the other can’t move into the suburbs with the mollusks and starfish. 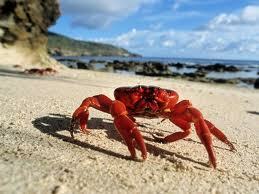 “Don’t drag each other down, cause being a crab in a bucket is mad lonely. Be the crab escaping from crab prison. Have ya’ll ever asked why it’s like this? The term lateral violence should ring some bells. If one who is oppressed (aka held back by society) cannot strike upwards (to the powers that be), then they will strike outwards to those who are nearest to them. Those who are nearest are the children, sacred gifts from the Creator. Family members, aunts, uncles, and yes even elders. The arrows get shot every which way. Anyways but up. Hold up, wait a minute. Let’s put a spin in it. Not all Indigenous people are like this, we have some of the most beautiful-build-you-up-and-give-you-the-shirt-off-their-back people. My grandma is the type of gal who will hug first and ask questions later. I know people who will pray for you without the bat of an eye. Everybody knows you can’t walk into an Indigenous persons house without them trying to feed you! If thats not top knotch host and sharing skill, I don’t know what is. I know Indigenous people who volunteer their asses off to create better communities. Cause that sh*t ain’t right. Yes. In this blog I will blatantly use bad grammar and pop culture references… and cuss like a drunken sailor. So we were placed in this “bucket” (AKA reservations, thaaaank you Treaty interpreters for mucking up the translations) over the past few hundred years, given less than what was afforded to the rest of society, banned from doing what made us proud beautiful and strong (cultural related prohibitions), children taken away and abused on all levels ( residential schools and 60’s scoop) and then a generation after we become citizens, we are told by a good portion of society who knows nothing about the historical and generational impacts, to “get over it”. I have even asked that, and I’m Indigenous. Alas, this was a time before I got schooled in what has happened and ways that First Nations people are still being discriminated against. So, we’re in a bucket. What do we do now? A) Have a bad as$ crab party until our claws fall off. B) Elect a crab chief who will govern us even though we may have never done this before. The bucket holders told us to do it or they cut off the rations. C) Get the f*ck out of the bucket. If you chose A)… which I’m guessing some of you have. Give your head a shake. Wrong answer. Your children will dance on your bones and they will still be in the bucket. If you chose B)… I understand. Why rock it the bucket when things are kind of cushy and you can “get by”. If you chose C), you are bloody brilliant and brave. Now, think about this for yourself. How do you get out of the bucket and get your fellow crabmates out too so you all can live the best traditional life possible? Jail break. Stay tuned, I’ll be defining “the bucket” and some exit strategies but I’d LOVE to hear yours! It’s based on the Lakota. Lov, Love, Love this Miss Knott. The last part was funny and I enjoy your sense of humour. Bless you lovely lady. Bless you as well NDNskwoo!! Oh my gosh this was excellent. Your observations are so true, it makes me angry at times that we seem to spend time pulling ourselves and our own people down, but not encouraging them. And like you said who put the crabs in the bucket anyway for this to happen. We have been put into a situation where we are our own worst enemy. But you are right too, there are millions up millions of indigenous peoples around the world who don’t get caught up in the bucket. They hug first and feed first and look after you and nurture you first. Sometimes they don’t even care what the issue was that you had they just want to make sure you are alive, and okay. For sure! It’s all about getting us to rise up and out of “the bucket”. Reinstate the sense of the collective and work together!! It is also very important to recognize the existing strengths of our communities because they ARE there in hardship, and we can draw on and utilize those strengths to move forward. There’s so much hope. I’ve been in Japan for a few years now, but recently came back to the West Coast of Canada and tried to get in better touch with the history of the land. In my searching I learned of the poverty that even today afflicts some First Nations communities in Canada. A family member of mine who used to work with the people of such communities told me that ‘Entering some of these towns (reservations?) is like stepping into a 3rd world country.’ I was so shocked to learn that there are places in Canada like that! This video reminds me a lot of the lesson I learned that day. Hi Helen, Fabulous post! I am so glad that you have this blog that I can learn from! Such a powerful message, keep speaking truth girl!